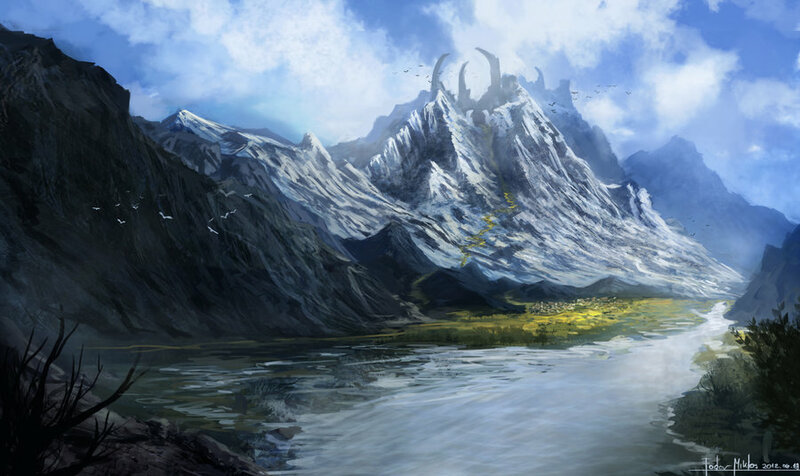 The Swordpoint Mountains; also known as the "Urkhar," are a large mountain range in the far western region of Orrek. The Swordpoint Mts. are inhabited by dwarves and a few barbaric Vaas humans. The Northern dwarves call these mountains the Urkhar; this was the name of an ancient Dwarf-realm founded there in 672/2 by Dwarf-King Kyros the Proud of the Krandåhk Clan. The Swordpoint Mountains stretch south from the Myr Thalal coast to the northern tip of the Nolar Vaas. The mountains are bordered on the east by the Kronarwood, and on the west by the Wildlands. Within these massive mountains is the great dwarven city of Thürgen Feyr. The dwarves of Thürgen Feyr are often at war with numerous orc and goblin tribes that also dwell beneath these mountains. Occasionally these conflicts spill out into the Wildlands, and is not uncommon to see Dwarven war-bands in the Wildlands hunting goblins and orcs.